It's another nail day- sorry to the non-nail lovers, but I seem to knee deep in everything nails. 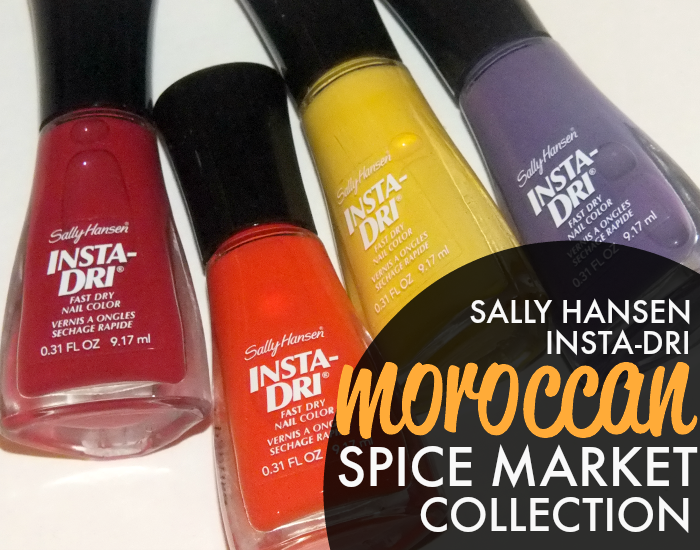 First up is the last of the new batch of Sally Hansen shades I've bee working my way through, with Sally Hansen Insta-Dry Moroccan Spice Market Collection. Read on for all the details and of course, swatches! Surspice! Is a slightly dusty, spice-red cream. The shade doesn't look all that unique in the bottle, but once on the nail it's quite pretty and unlike any other red in my collection. Great formula; two coats. Sizzlin' Saffron is a mid-tone, sunny yellow cream. It's quite similar to Glow With It from the Kaleidoscope Collection, but without the hidden shimmer. The formula is pretty good for a yellow cream, but I still ended up needing three coats for even coverage. 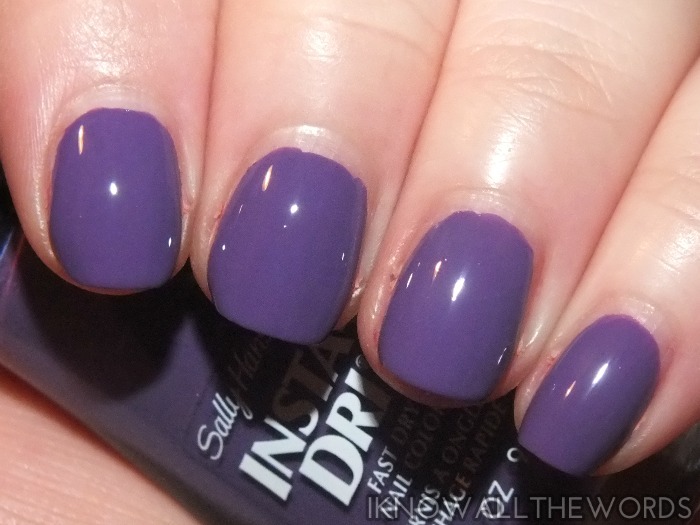 Pep in Your Step is a blue based purple cream with a slight dustiness. Love this shade! 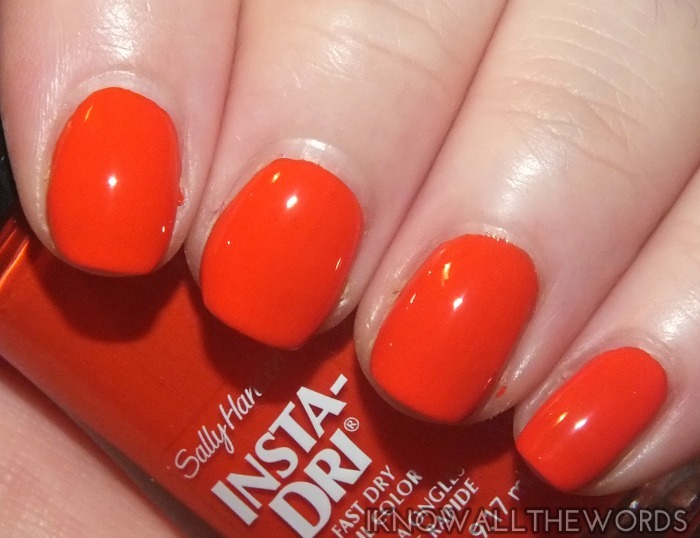 This had a thinner formula, but built to opaque with two easy coats. Overall, this is a nice little collection. It does include a fifth colour- Sumac Sonic- a pink cream. This collection is available now, exclusively at Shopper's Drug Mart and Wal-Mart Stores (in Canada) for $4.95 for limited time. See any shades you love?